Leticia Flores is an Associate Professor in the Department of Psychology and the Director for the UT Psychological Clinic. 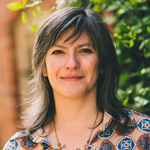 Dr. Flores received her bachelor's in psychology from Duke University in 1991, and her doctorate in Clinical Psychology at UT Southwestern Medical Center at Dallas in 1996. She completed a 2-year post-doctoral fellowship in chronic pain research at he University of Washington in Seattle. Dr. Flores has taught both undergraduate and graduate courses in psychology, and has supervised graduate students for over 10 years. Before coming to UT, Dr. Flores served as the training clinic director for Virginia Commonwealth University's clinical and counseling doctoral programs for 7 years. She has also maintained an active clinical practice for over 13 years. Her specialty is working with adults on ethnic, sexual and gender identity issues. Dr. Flores is a member of the American Psychological Association (Div 44); the National Register for Health Service Providers in Psychology; the Association for Psychology Training Clinics; and the Appalachian Psychoanalytic Society. 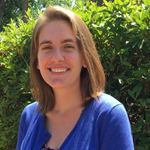 Sarah Thompson's interests include clinical training and supervision, professional development, and third-wave cognitive behavioral therapies, including Acceptance and Commitment Therapy (ACT) and Dialectical Behavior Therapy (DBT). She assists in managing the clinic, providing supervision, and teaching.